Dilma Rousseff lights the Olympic torch. 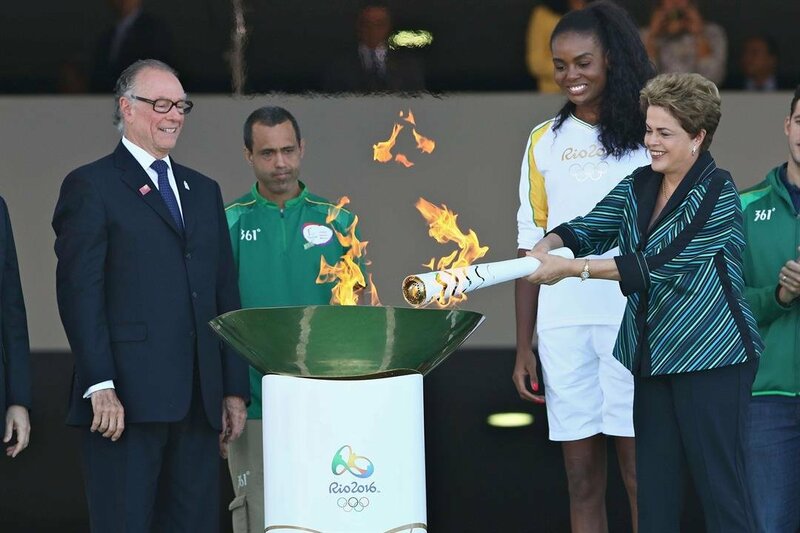 Brazil’s Embattled President Dilma Rousseff lights the Olympic torch 2016. President Dilma Rousseff lighted up the Olympic Torch in Brazil’s capital on 3rd of May 2016. It is not a simple torch guys, the flame of it inspires hope and excitement. On the other hand, it definitely boosts the ticket sales in the host country ahead of the Summer Games. Ms. Rousseff explicitly said at the ceremony, “We are aware of the political difficulties in our country,” She added more at the presidential palace that could it be her last official Olympics-related event. Brazil will be able to welcome foreign athletes and visitors for the Olympics “even as it goes through a very difficult period, a critical period of our history,” That was a bit of an emotional part, we must say. For more details, feel free to visit The Wall Street Journal. At the ceremony, not only government officials but also several Brazilian athletes were also there. And all of them savored the inauguration of Olympic 2016. Over the 95-day relay, the torch will be carried by 12,000 participants across Brazil’s 27 states before arriving in Rio de Janeiro for the opening ceremonies on Aug. 5.